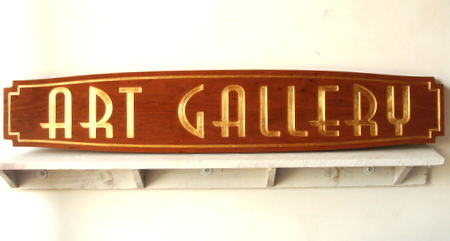 This beautiful and elegant, yet simple, mahogany sign is suitable for a high-end retail store with quality or luxury products. The text is engraved in a very sophisticated font style and gilded with 24K gold leaf. It can be mounted on a wall or hung from a wood or iron hanger.